Routine oil change is a crucial part of your routine auto maintenance program to help ensure your vehicle lasts for a long while. Oil is said to be the life blood of your car’s engine because it keeps the parts rotating smoothly and working properly. 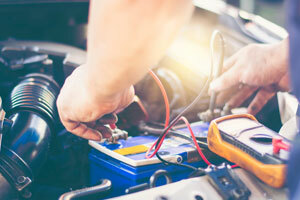 While the frequency intervals for changing oil in your vehicle vary depending on where you are getting advice, you can consult your owner’s manual for your particular vehicle. Call Rick’s Tire and Chevron to schedule a car tune up or auto maintenance repair services. We are an Amsoil® oil dealer and use complete Chevron® products. A truck or car tune up today is a preventive auto maintenance service and engine performance check necessary to keep the engine running at the best possible level! And while routine oil changes are vital to proper vehicle function and not considered part of a tradition tune up by all service centers, we can certainly change your oil with superior quality Amsoil® oil and change the filter. 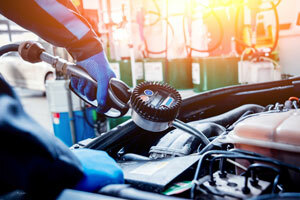 Call for an appointment to help keep your car running stronger, smoother and longer! 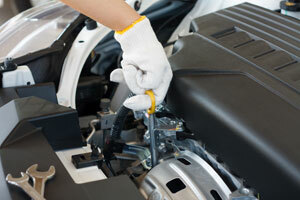 Why Choose Us for Routine Auto Maintenance? If you read the operating manual for your vehicle and take note of all the service reminders and service points, you may prefer to leave your auto maintenance schedule up to us. Our customers keep coming back to us at regular oil change intervals and for car tune ups because they receive excellent care services and are treated right!